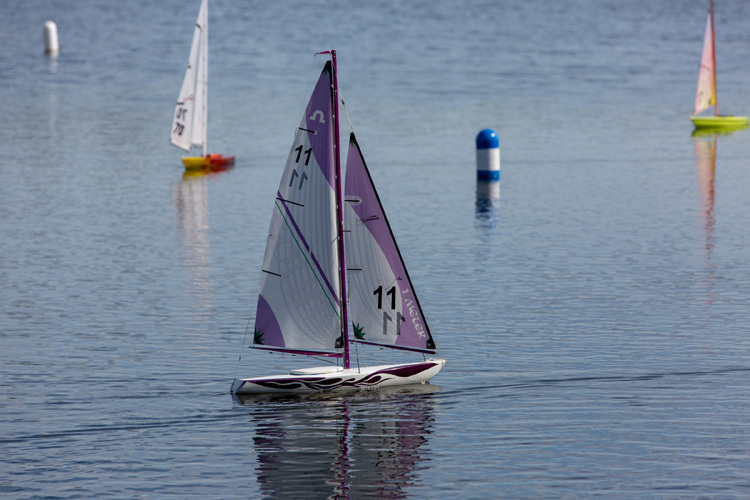 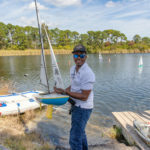 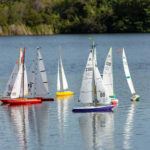 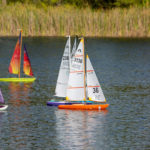 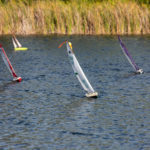 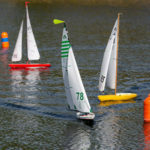 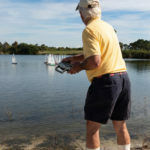 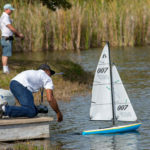 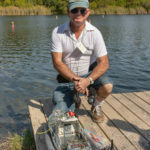 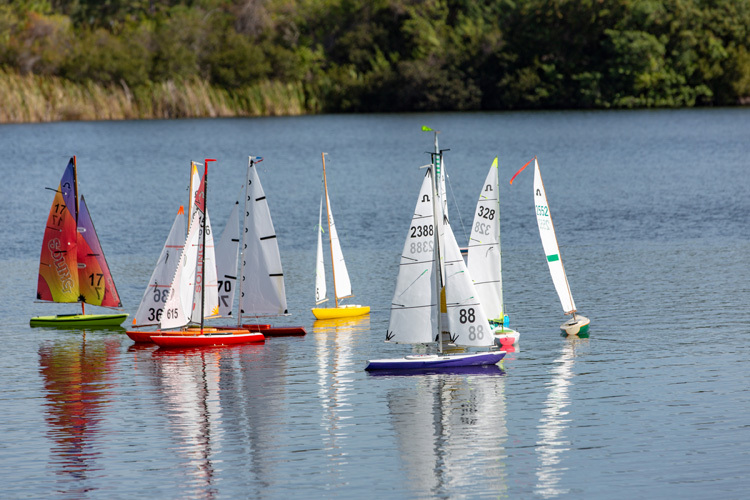 The age-old wisdom that you can’t change the wind but you can adjust the sails was shown to be true at the recent Frostbite Regatta at Hobart Park hosted by the Indian River Model Sailing Club. 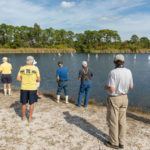 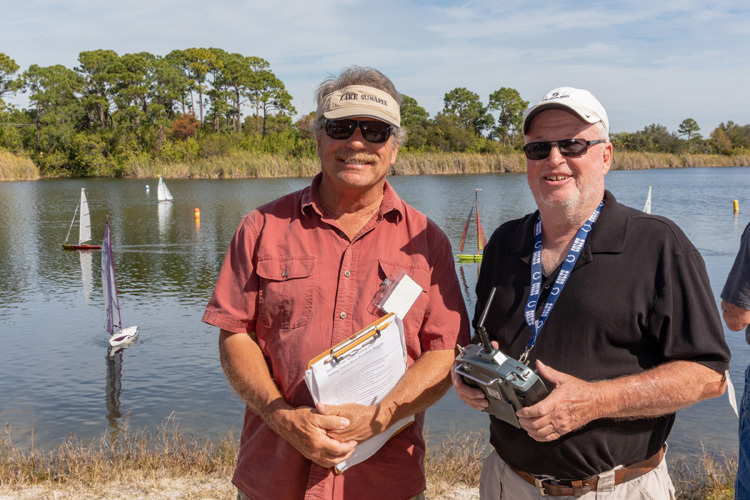 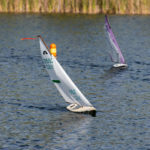 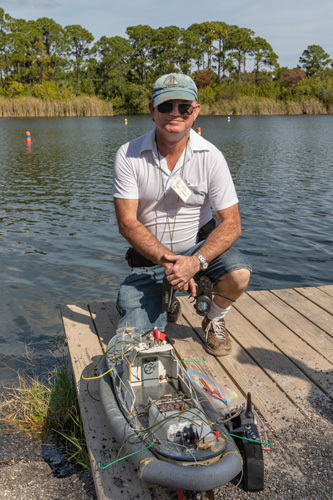 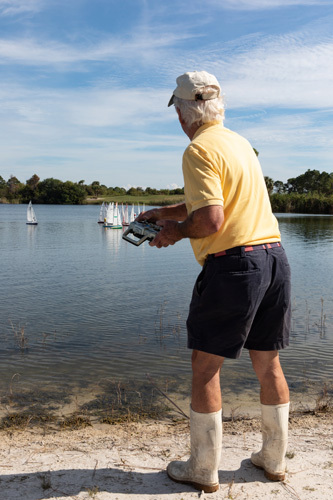 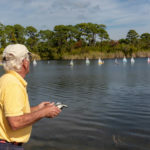 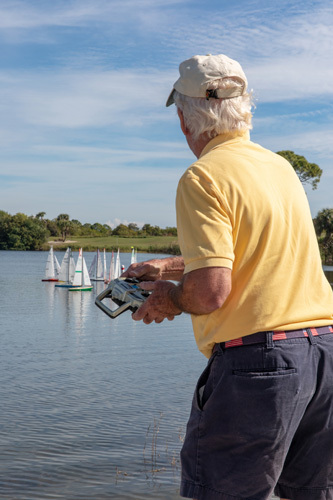 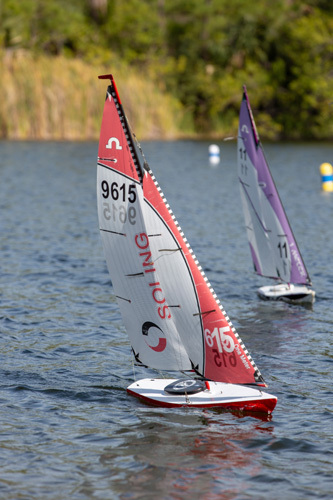 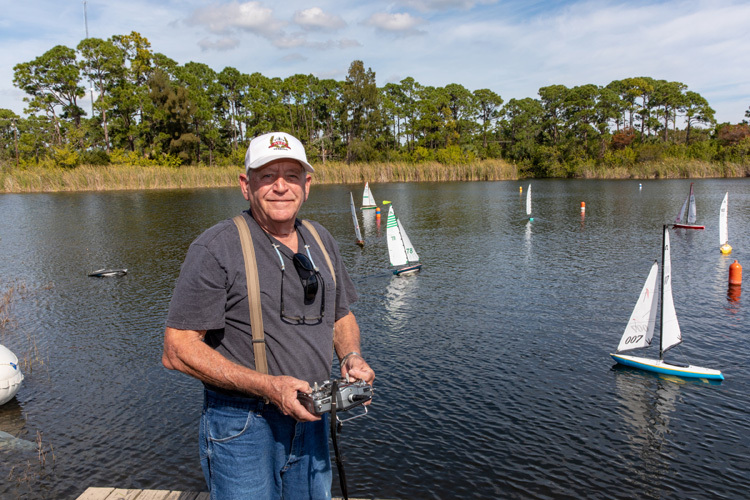 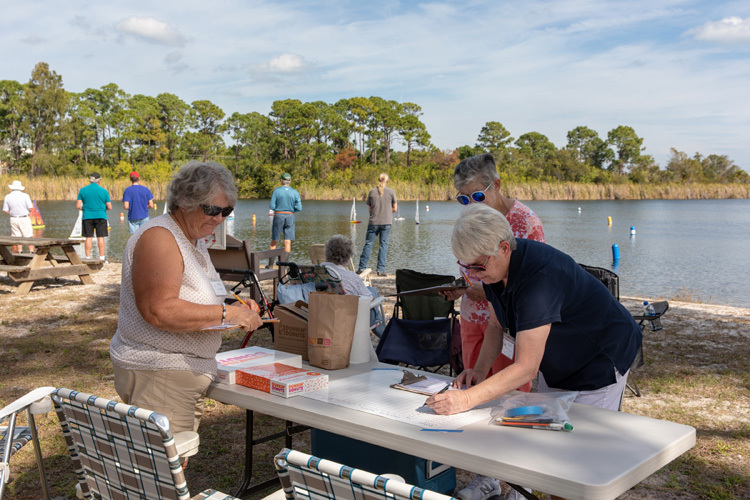 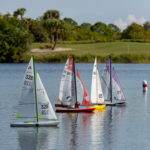 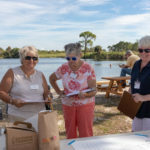 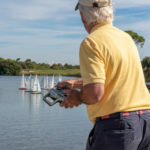 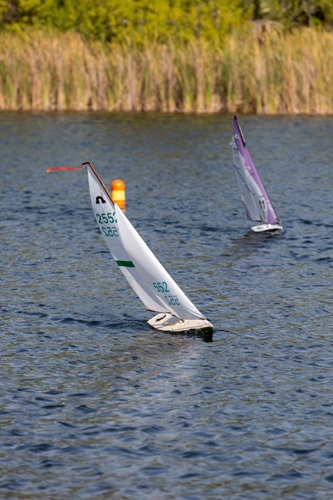 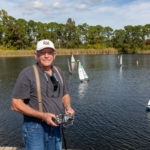 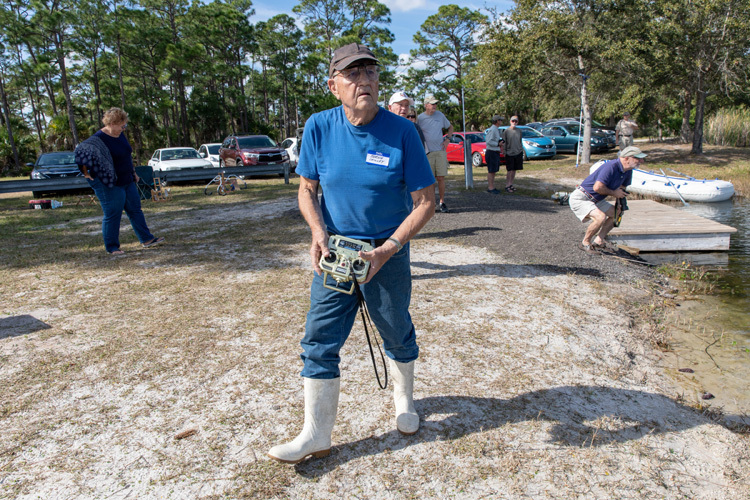 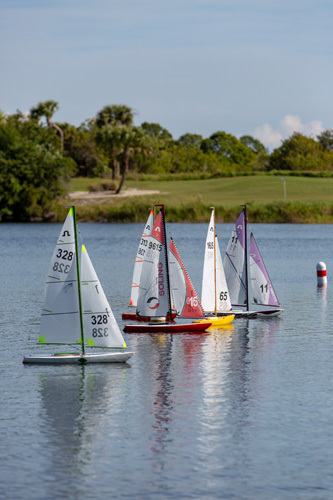 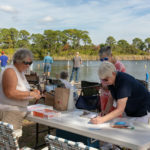 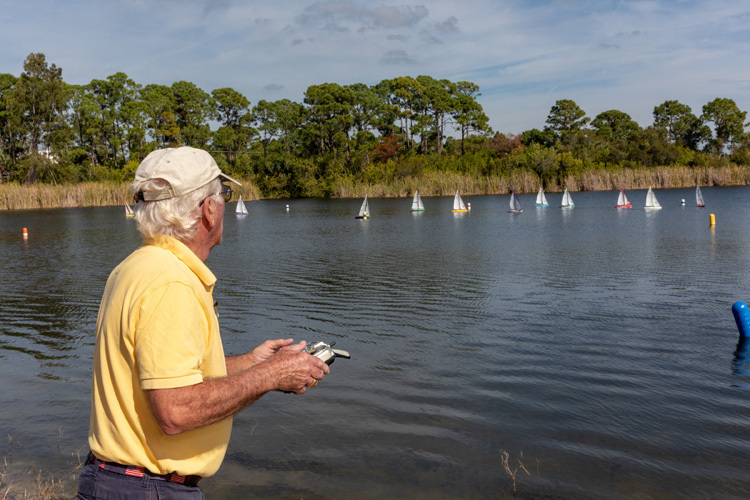 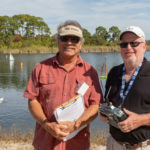 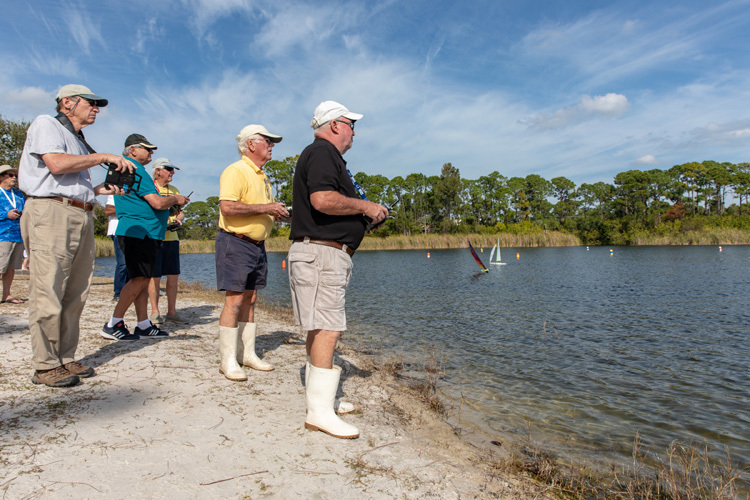 Members from various southeast Florida clubs gathered under warm, sunny skies to test their racing skills as they navigated a course with radio-controlled sailboats. 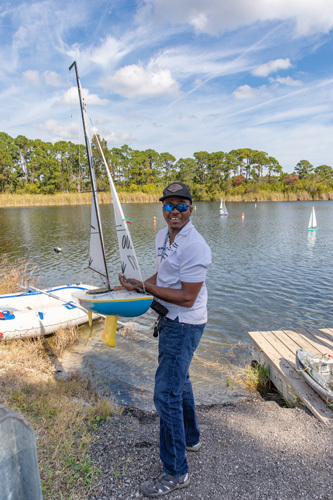 The contestants were all retired gentlemen with a love of sailing. 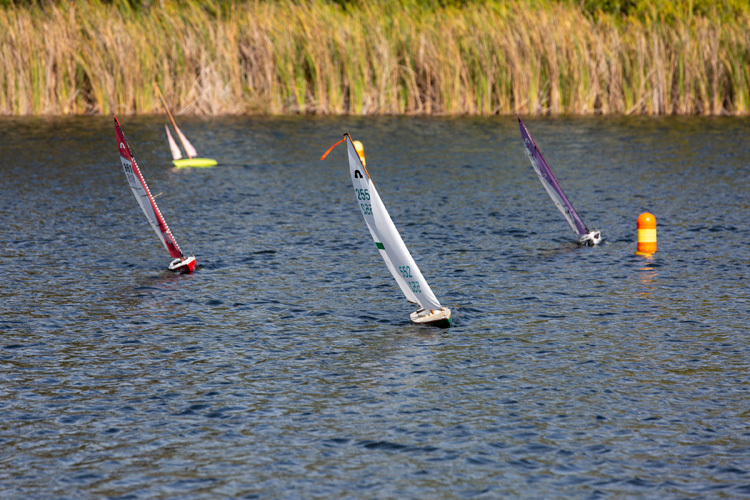 And, while the companionship was casual and friendly, the races were very competitive, with each man in it to win. 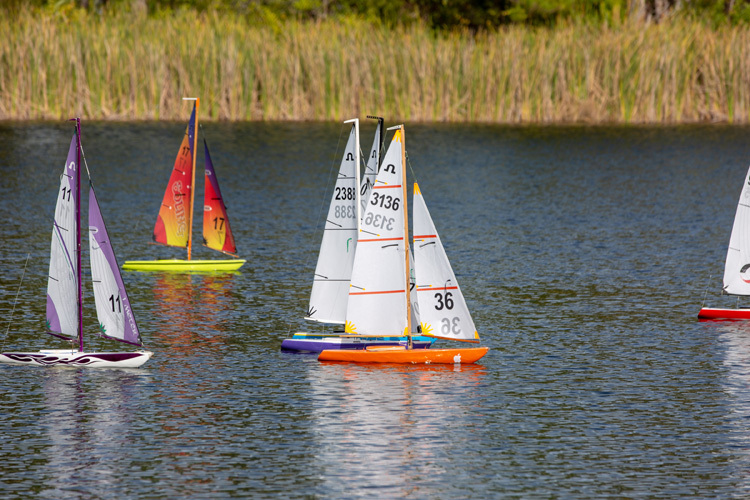 Races were segmented into classes, depending on the weight and size of their fiberglass boats, which navigated a charted course via remote control from the shoreline. 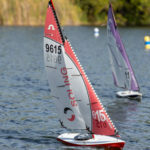 The local club, founded in 1995, boasts a membership of more than 40 and is dedicated to the construction and racing of Soling One Meter, RG 65, Dragon Force and Dragon Flite 95 sailboats. 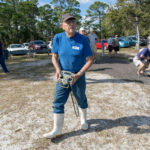 Accidents do happen, and during this event Curtis Hakes acted as the rescue captain in charge of bringing the crafts safely back. 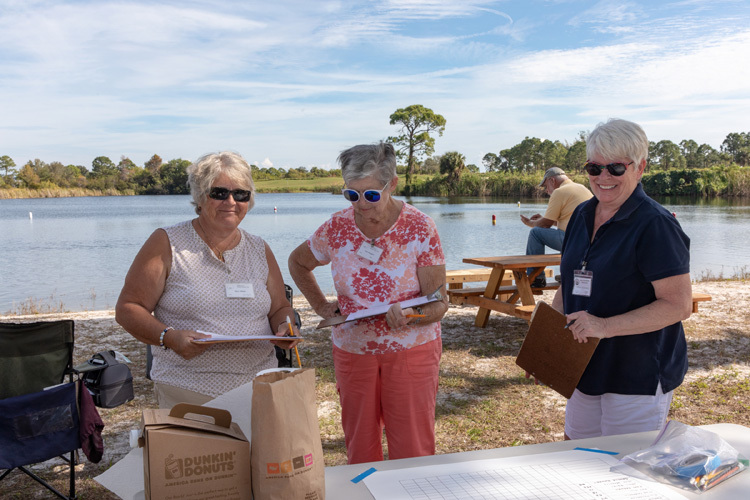 Member wives get into the act as scorekeepers. 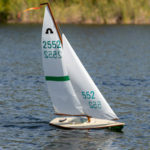 Members are always happy to introduce newcomers to the sport and can assist with the construction of new boats. 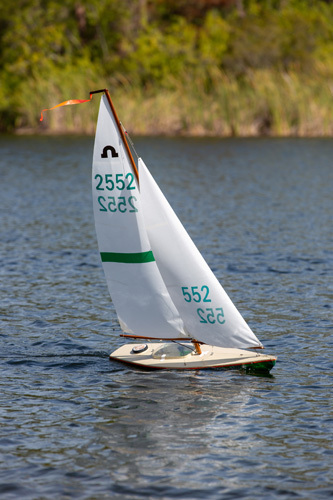 They’re generally available for purchase for about $250 to $350 or can be built less expensively from model kits. 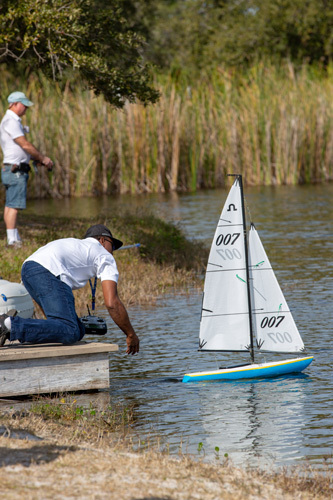 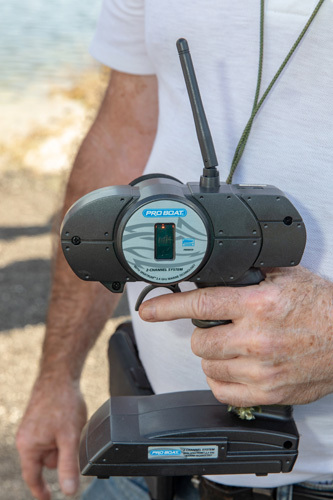 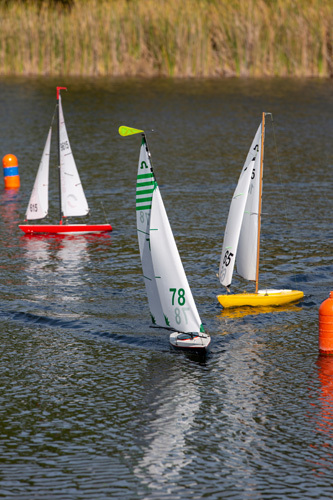 If you want to join in on the fun – you’ll find model boaters share the same gift of gab as sailors on the high seas – members gather from fall to spring at Hobart Park at 1 p.m. every day except Thursday and Saturday, or during the summer each Friday and Sunday. 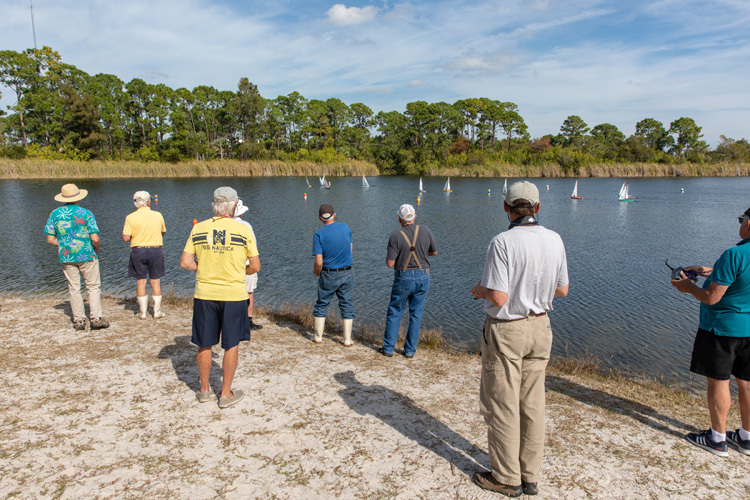 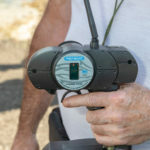 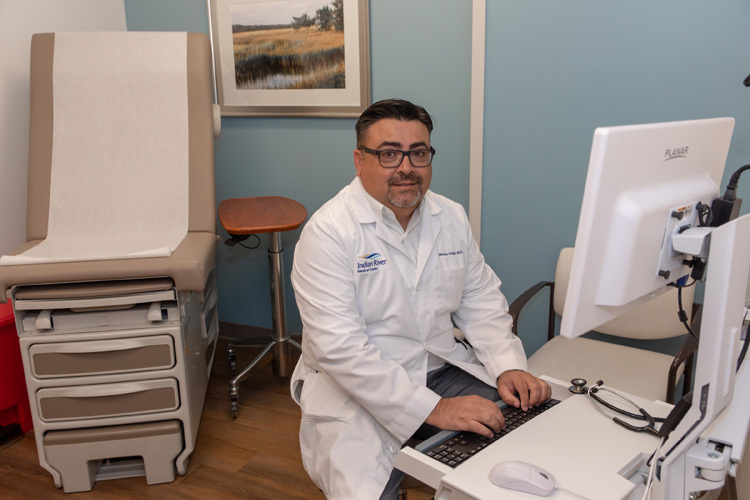 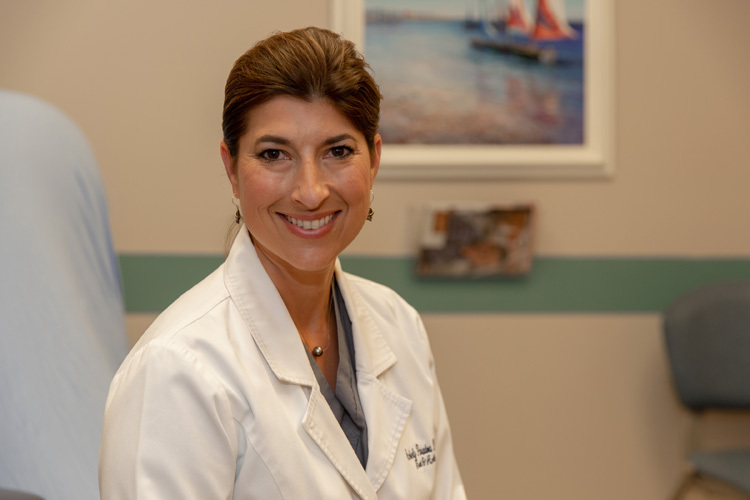 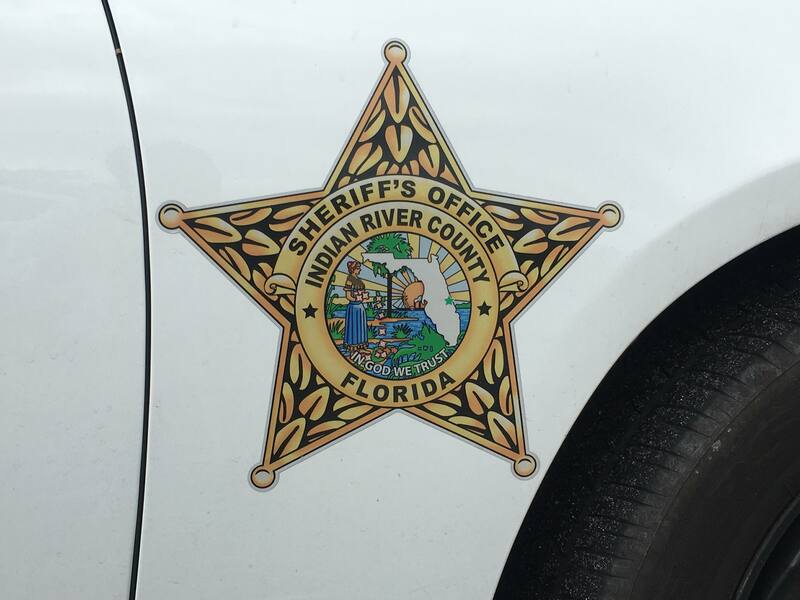 For more information, visit irmsc.org.